The most expensive bike TVS Motors has ever sold in India – the Apache 310 RR – will be launched on the 6th of December. It is a little unusual for such a flagship bike to be launched in the fag end of the year. However, it could well be that TVS Motors will announce prices of the bike and commence with bookings in December, while beginning the actual customer deliveries from January. This is because customers generally prefer to buy new vehicles in January rather than December. 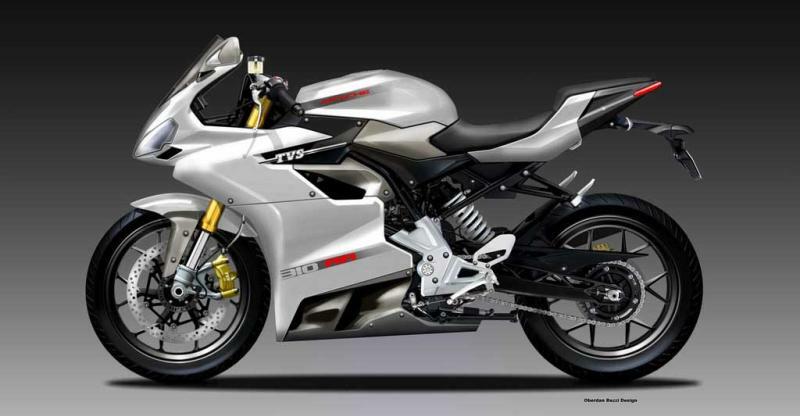 The Apache RR 310 will be the company’s flagship motorcycle. The fully faired sportsbike will share many parts with the BMW G 310R, which includes the 310cc four stroke engine. The engine features liquid cooling, four valves, a twin overhead camshaft and fuel injection. It is expected to produce 34 PS of peak power at 9,500 rpm and 28 Nm of peak torque at 7,500 rpm. The gearbox will be a 6 speed manual unit. Expect a top speed of around 160 Kph. The 0-100 Kph timing should come up in under 8 seconds. The bike will ride on 17 inch alloy wheels shod with tubeless tyres. Both wheels will get disc brakes with ABS. Upside down front forks will be making an appearance for the first time on a TVS motorcycle while the rear suspension will be handled by a monoshock. The Apache 310 RR will compete with the KTM RC390. In terms of pricing, it is expected to be much cheaper than the Austrian sportsbike as the former has a smaller engine. We expect TVS Motors to price the Apache 310 RR at around 1.8 lakhs. 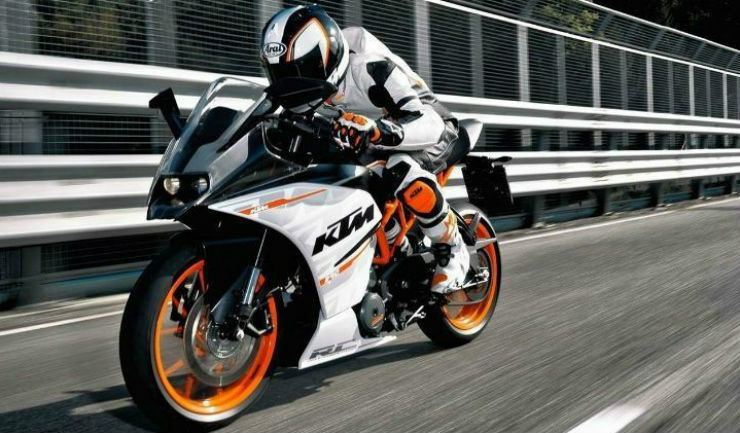 The RC390 costs 2.34 lakhs. The RC also uses a single cylinder engine but with a higher displacement of 373.2cc. The engine on the RC390 also produces much more power and torque – 44 Bhp and 37 Nm. Suspension on the RC390 is similar too – upside down front forks and a monoshock rear.